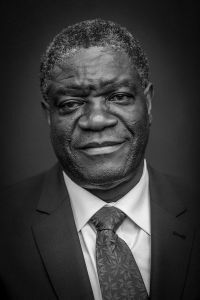 Dr. Mukwege’s Nobel Peace Prize represents an advance of the Congolese people – and all humanity. Could it be that his award will do more to bring about the political change desparately needed in in Congo than all the millions of dollars and the lives expended in peacekeeping in the still war torn nation? Posted on October 8, 2018, in Global Church, U.S. Peace Movements, U.S. Protest Movements and tagged Dr. Denis Mukwege and Dr. King, Dr. Mukwege opposition to Congo Regime. Bookmark the permalink. Leave a comment.